He replies: Simcity -or more specifically the Simcity I designed Sheldonopolis. For me visiting Brasília, the capital of Brazil a city planned and built in the late 1950s, is akin to visiting a Simcity creation brought to life. Wide avenues, treescaped vistas, monumental buildings, extensive parklands and strict height restrictions, one could almost see the Red, Blue and Yellow coloured squares of the Simcity game board. Today’s blog post is largely about the design and construction of the city – and my reactions to it- good and bad. 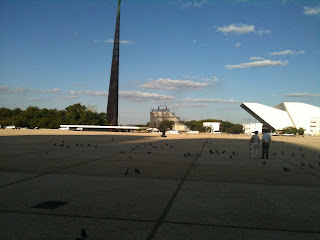 Check out other posts on my Apppraisal of Brasília, and on being a tourist there. 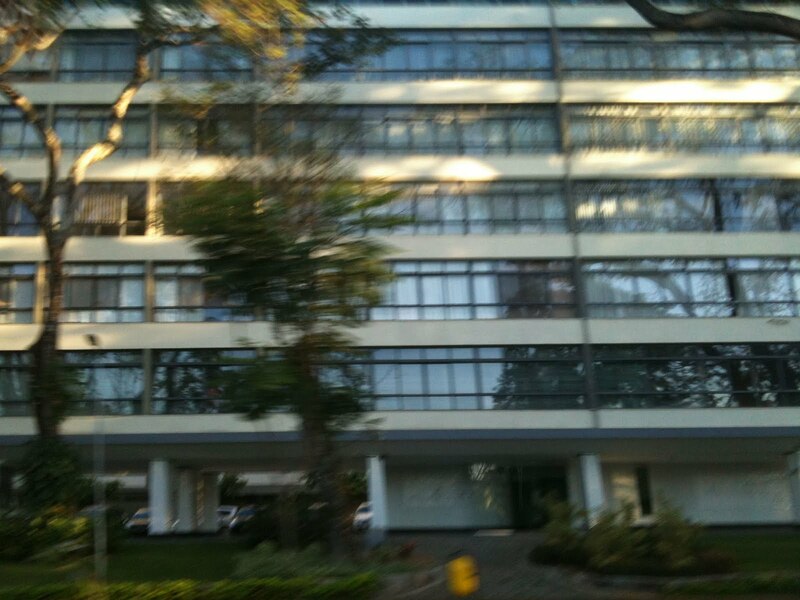 I also dedicate a post on the very famous Oscar Niemeyer key buildings. 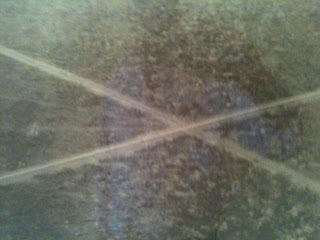 Today’s will probably be a long post as I am using this to understand this city -theres a lot to say. 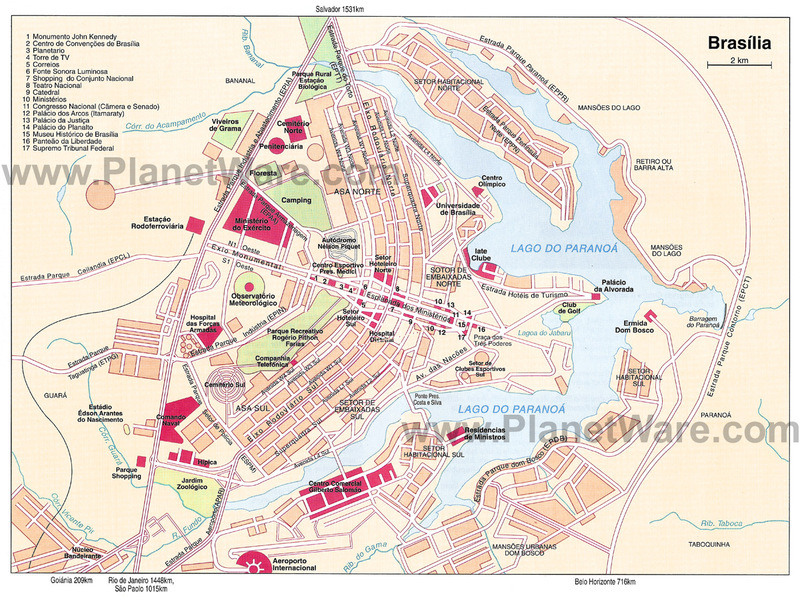 If you are interested in city planning or very different tourist locales enjoy! 4. Marcelo and Roberto Mauricio suggested my personal favourite: -Seven to 14 circle-shaped “urban” units each with a 2km diameter was planned with 72 000 people. 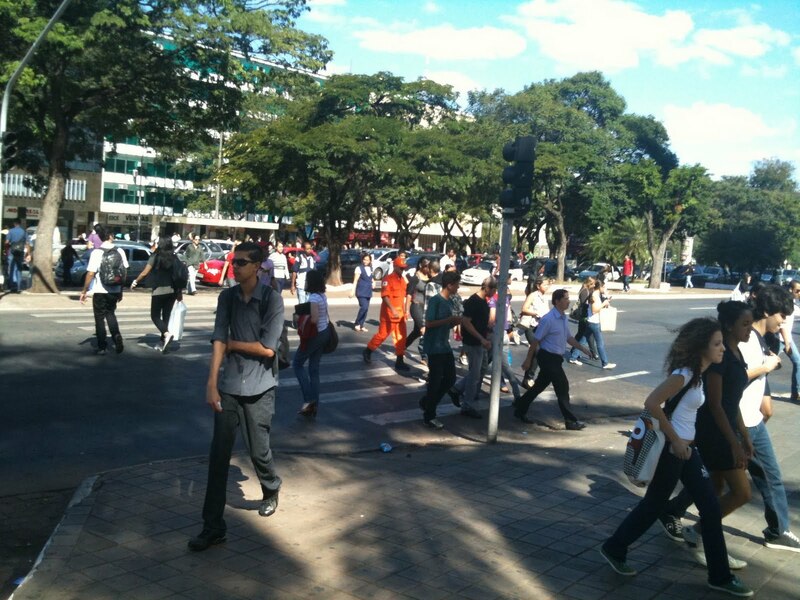 Each unity would be “a complete city” where people would live next to their working place, so they would mostly walk. Total city population: 630,000 to 1,260,000. Their failure: to actually include space for the National Capital buildings! The East West axis (the head and body of the bird) is known as the Monumental Axis. East is where the “tail of then bird would be” Along this axis are the government buildings and the cultural, entertainment and sporting precincts. The city consists of two main axes crossing at right-angles. At the intersection of the two axes the bus station was placed and around the the intersection were the banking, shopping, hotel and commercial districts and the entertainment center of the city, with cinemas, restaurants, etc. This means everything in the hotel sector is a hotel and everything in the banking sector is a bank! 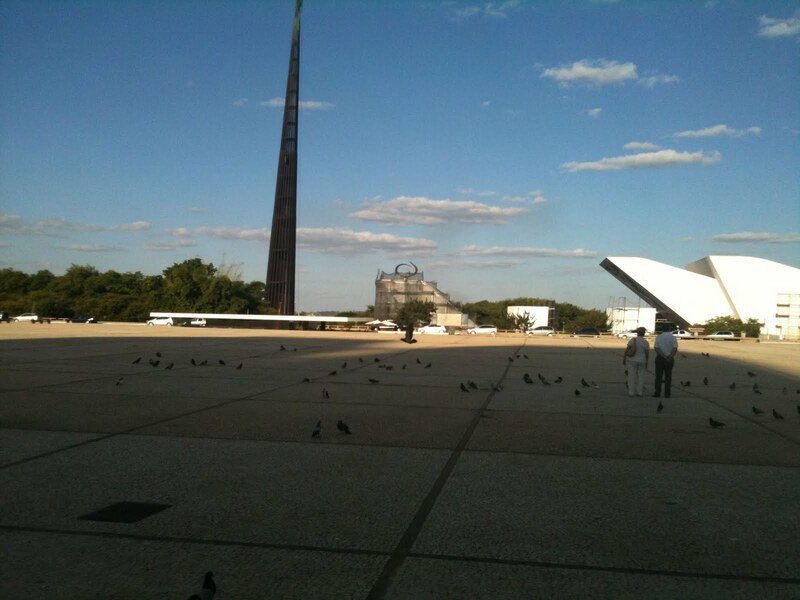 At the other end, the Eastern end (Bird tail) is a vast square called Three Powers Square around which are arranged the three key power centres of Brazil: the Supreme Federal Court, (National Congress and President Palace (Palácio do Planalto). More on the buildings Thursday next week. Moving west from the Three Powers Square along the Monumental Axis are the offices of the Brazilian Government Ministries which look like two rows of dominoes- each with a private parking area. For the next kilometre from the Ministries to the Central Bus station are the Cathedral, museums, library, planetarium all in a park like setting. The Monumental Axis itself consists of a long mall. In the middle of the Mall are broad sweeping lawns intended to be used by pedestrians and parades. On each side of the mall are two carriage ways of six lanes each. Urban legend has it that this is the widest road in the world. Not so. It does according to Guinness Book of Records have the widest median strip in the world. 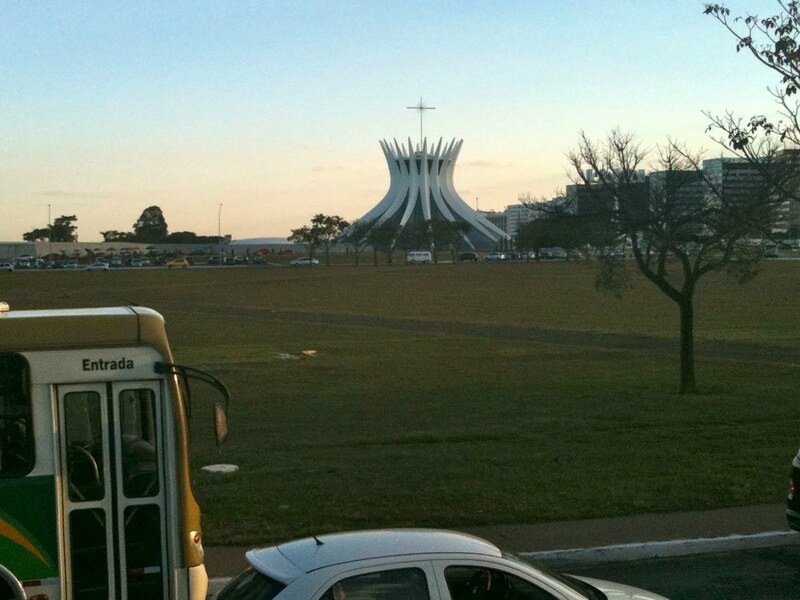 The Cathedral In Brasilia. Six lanes of traffic, a very wide median strip and six more lanes of traffic separate it from me in this picture. Costas was determined to avoid the mistakes made in other cities. 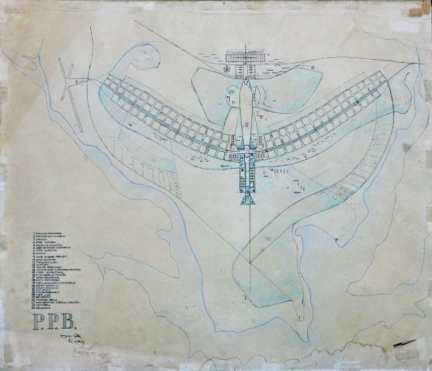 The road system was designed to reduce intersections with flyovers and cloverleafs and pedestrian tunnels. Private car ownership was seen as the way of the future so the road system was designed to make driving a pleasure. Costas envisaged taxis and buses for public transport even specifying the colour of the taxis (grey with green stripe) and the uniforms of the drivers. The local Church and secondary schools were placed in the middle of the superblocks. Shops and cinemas were included in the Superblock structure. All cars were parked at the front and residents would walk between schools, shops, church and residential buildings. The army took control of Brazil in 1964, four years after the new capital had opened. Many infrastructure projects came to an end as the country slid into economic malaise. Costas wanted no squatters or unplanned developments. This meant for example, the builders who came to build Brasilia were not allowed to live in the city so stayed in construction camps which grew into satellite towns such as Gama, Ceilândia, Taguatinga, Núcleo Bandeirante, Sobradinho, and Planaltina. All of the new towns, with the exception of Gama and Sobradinho were not planned. it is designed for automobiles and air-conditioners, not people. 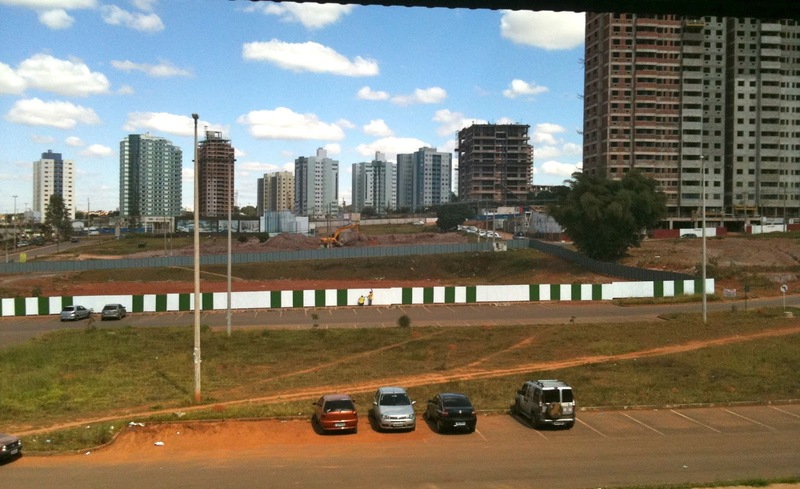 The poor, who work in the construction and service industries, were not part of the plan for an inland capital and live in settlements up to 30 km outside the city, called ‘anti-Brasílias’. I think some critics are too harsh. Everyone who lived here that I talked to was very proud of their city. It is a city though you need to adapt to. 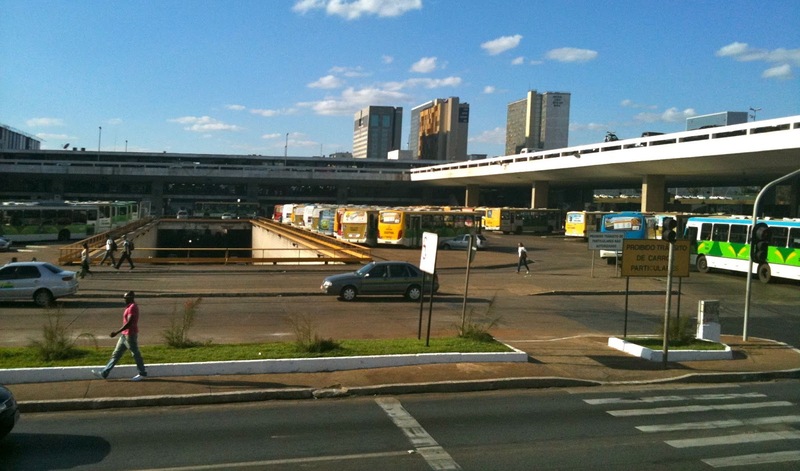 People often claim that Brasilia was not planned as a pedestrian city. This is not so. Pedestrian pathways were carefully constructed so that cars and Pedestrians are separated. The aim to me seems to be that people would drive or be driven to a key locale. Once there they could leave their car and walk around. The disadvantage is that if you want to walk between locales, you are frustrated. For example. 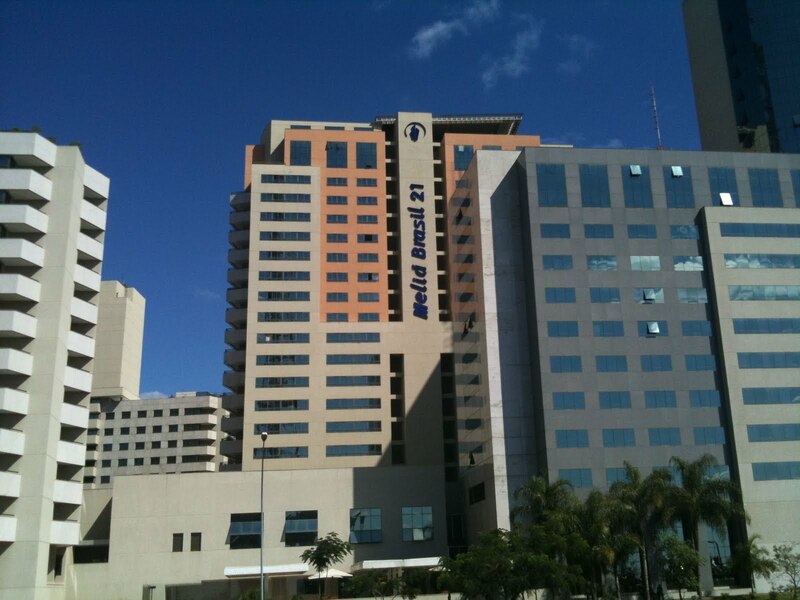 My Hotel Melia Brasil 21 is what would be a maximum ten minute walk from the Galeria Metro station in any other city. The walk however is 20-25 minutes and thats now I knew where I am going. The nature of the footpaths mean people need to know where they lead because some just seem to stop and others veer in the opposite dorcetion to your destination but veer back via some hidden passageway. As a result, as a tourist trying to get from hotel to shopping and main monuments basically means taxis, hire cars or Exhaustion. 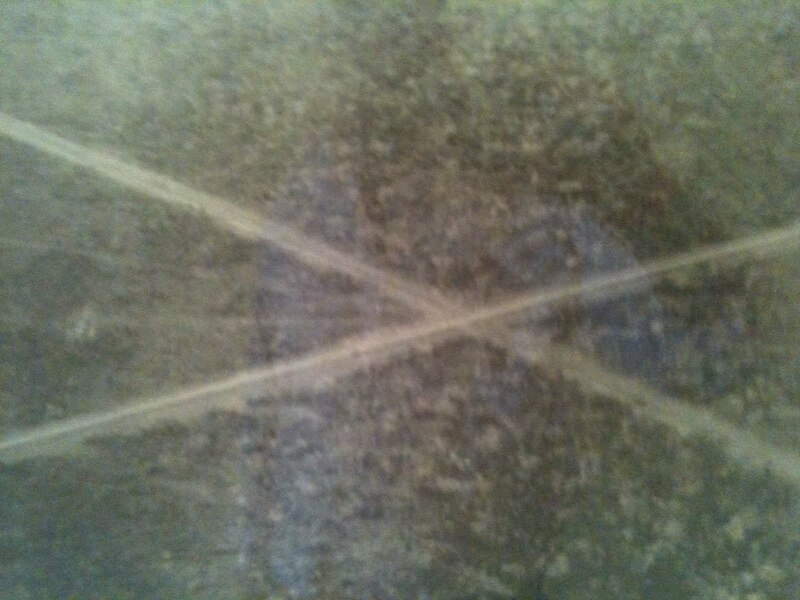 More seriously, there are unofficial paths everywhere crossing across the vast grassed areas and deaths from people crossing the roads illegally. I will post more on the difficulty of walking around Brasilia. 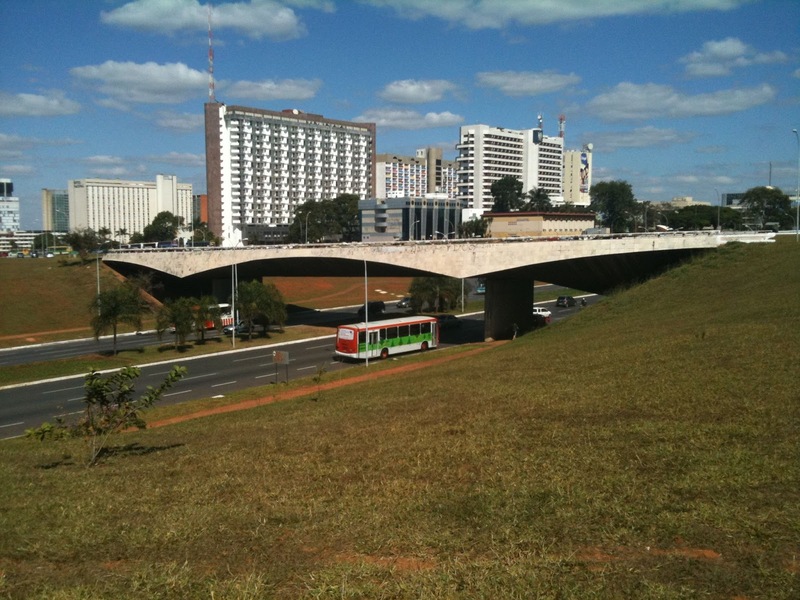 The focus on private cars and the economic malaise Brazil went through has reduced the ability to finance good public transit infrastructure. Sightseeing and living therefore become costly. 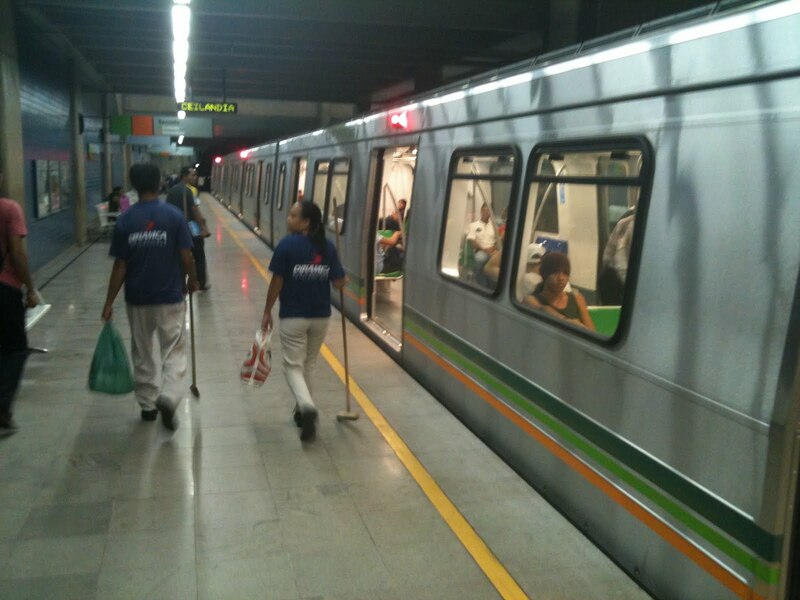 There is a new Metro which I loved but its missing stations and sections but has already reduced car travel. It seemed hugely popular when I rode it. Extensions to the system are planned. The city design actively increases car usage. 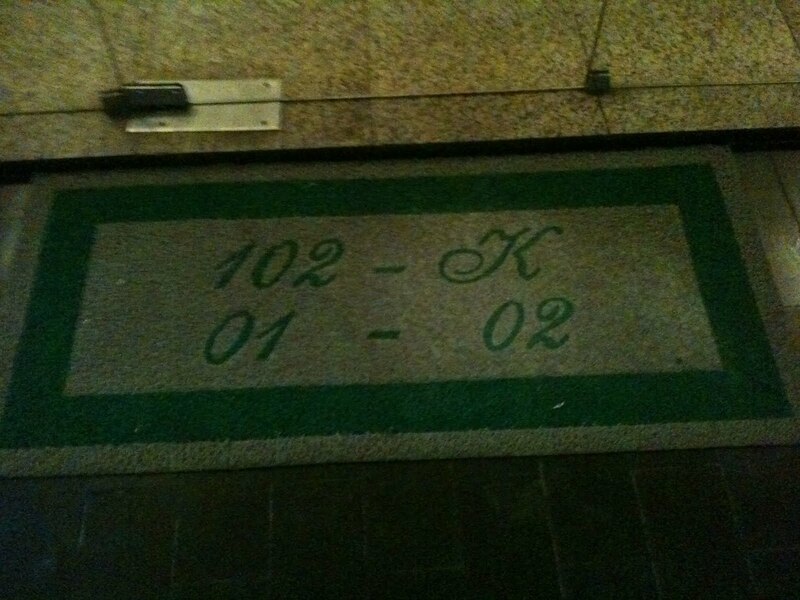 One friend’s apartment is 1.2km from his office. in most cities that’s an easy walk. Not for him. 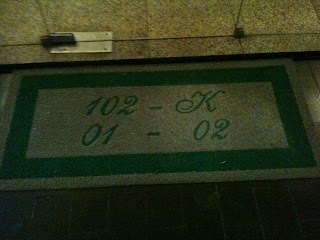 He has a metro station near hid house and one “near” his office. 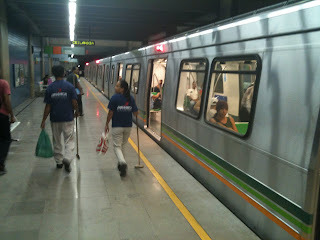 Again the trip would take 45 minutes to traverse to get from home to Metro and Metro to office. So consequently he drives. Walking around my hotel I would pass almost furtively other walkers . They were largely other tourists or the poor who cannot afford cars. Sul 102 Subway station- people? The City Park was also full of people in an environment free of cars. However to get from City Park to the nearest shopping centre by foot is trickier than it needs to be. Doing errands is not easy. Everything is in sectors. Staying in a hotel, going to a client’s office and then to lunch with a friend and then buying a local cell phone is something that can be easily done in the same block in my home city Melbourne. In Brasilia one would start at the Hotel sector, go to the Commercial sector then to the Shopping area and then back to the hotel. This city makes me feel small as human. The big distances between sections of the city or between monuments combined with empty streets, vast squares and tall buildings all dwarf you. Other cities have big buildings but they are “softened” by smaller buildings grouped around them eg shop fronts that are at a height accessible to humans. In Brasilia. 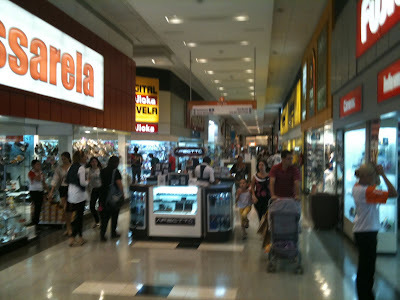 the only place that seemed to allow people to capture a sense of their human size was inside the shopping malls. While I understand the desire to emphasis the grandeur and help people have a sense of awe and wonder and excitement about their capital, their nation and its future. This was probably the intention at the start but is it time to allow people to interact and live with their city. Far from attractive people to their institutions the layout feels like it alienates humans. 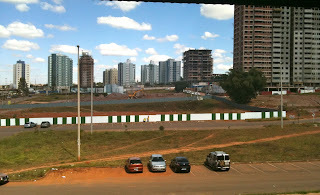 So if Brasília my Simcity-what would I do? 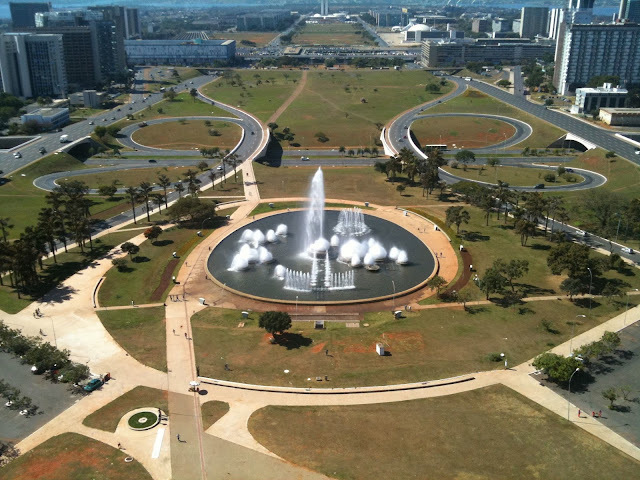 I am tempted to create Brasilia in a SimCity game (as soon as I can find one for my Mac) and see if I can add my changes and compare what that does to the game! 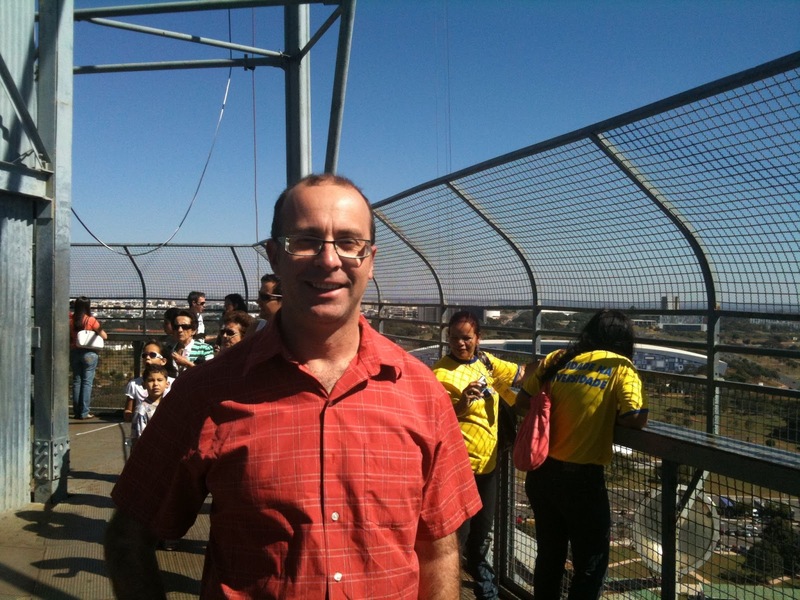 Just testing if I can comment first after not being able to before…..
Having lived in Canberra for several years, the problems I see with Brasilia pretty much echo the problems with Canberra. The arid pedestrian-free landscape certainly reminded me of Capital Hill in Canberra, which is also pedestrian-hostile.The idea of separating everything into zones doesn't really make sense. If you're a tourist, you're probably staying in a hotel; you're likely to want to go shopping, possibly do some banking, etc.How is the city for cyclists? At least Canberra is great for cyclists, with designated cycle paths throughout the city, better in the newer suburbs. 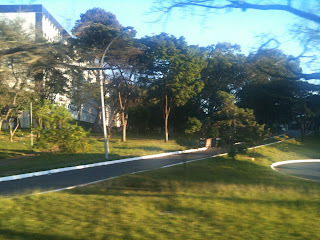 Thanks for your comments.I saw no one cycling in Brasilia. I saw no designated cycle tracks. In my list of improvements cycle paths would be one…how to put them in is a good question. 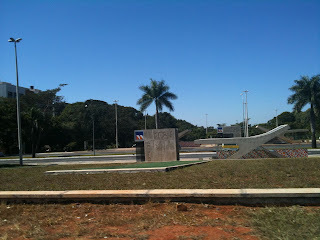 ,The city is built with a desire to maintain car flow without interruption. Cycle paths would have to go over and under roads. But you also cant spoil the visual flow of the city so that also makes it difficult.Climate wise biking in Brasilia would be hard work too. Wonderful blog! Do you’ve got any guidelines and hints for aspiring writers? I’m planning to start my own internet site soon but I’m slightly lost on everything. Would you suggest starting with a free platform like WordPress or go for a paid option? You can find so numerous options out there that I’m completely overwhelmed .. Any tips? Kudos!